We sell replacement motors, feet, foam pads, bowls. To purchase a complete machine or get more information, visit our Ultra-Vibe 10 vibratory tumbler page. 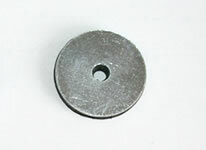 This washer has a soft rubber pad and is used on either the bowl or the lid. A replacement foam pad that sticks to the machine underneath the bowl. 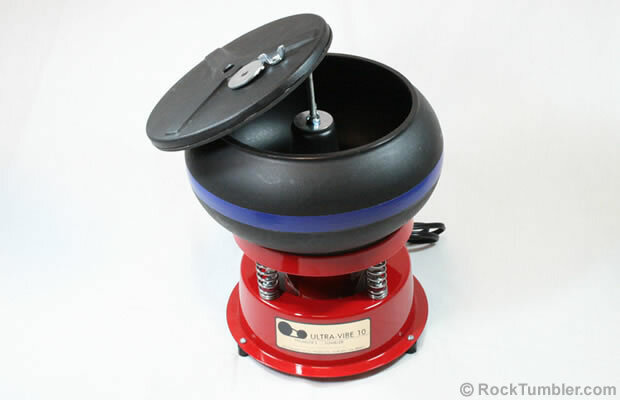 This is a 10-pound bowl for Thumler's UV-10 vibratory rock tumbler. It comes with the bowl, lid and lid pad. Washers and wing nuts sold separately. 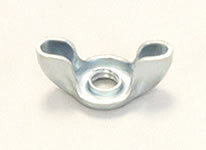 This wing nut fits the center post on Thumler's UV-10 vibratory tumbler. It works for both holding the bowl down or the lid. This replacement center post is for Thumler's UV-10 vibratory tumbler. It comes with both the locknut for under the plate and the regular nut for above the plate. 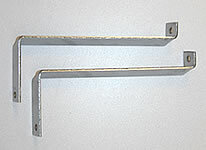 A set of two motor mounting brackets for Thumler's UV-10 motor. These brackets are not that difficult to change and can be done in just a few minutes. This is the counter weighted motor that is designed for industrial version of Thumler's UV-10 rock tumbler. It will shut off is is under too much of a load so it doesn't overheat.